Briggs Engineering and Testing is proud to be affiliated with yet another stunning Seaport project. 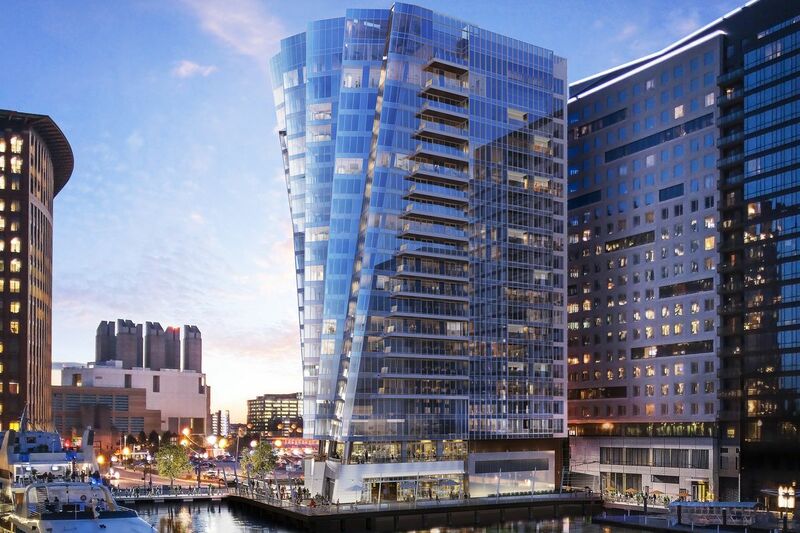 Cronin Development, developer of the long anticipated 150 Seaport Boulevard in Boston’s booming Seaport neighborhood, has announced that the luxury tower will be home to the first ever St. Regisbranded luxury residences in Boston. The St. Regis Residences, Boston will feature 114 luxury waterfront condos at the former home of Whiskey Priest and Atlantic Beer Garden. Condos at The St. Regis Residences Boston will run from one bedroom to penthouse units. Designed by Howard Elkus of Elkus Manfredi Architects, The St. Regis Residences Boston will feature a stunning design rising 22 stories in the curvilinear shape of a sailing ship that will surely improve the skyline on Boston’s waterfront. In addition to 114 luxury residences, The St. Regis, Boston will also feature a signature restaurant on the first two floors that will be open to residents and the general public. The St. Regis Residences are expected to be complete sometime in 2020.